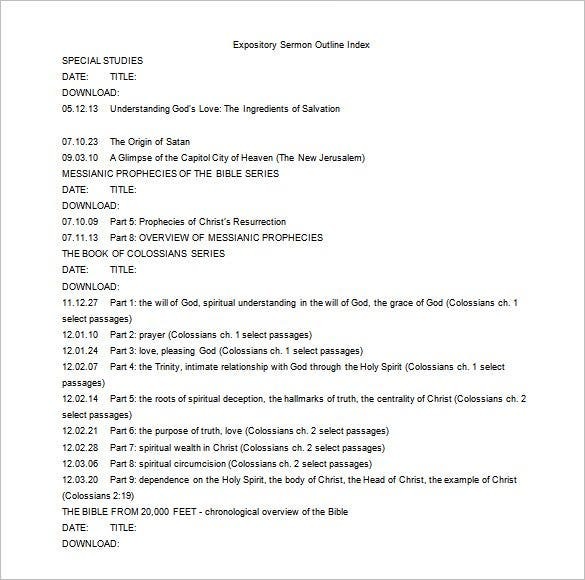 Sermon Outline Template – 6+ Free Word, Excel, PDF Format Download! Congregations are meant to be taken seriously. People gather with their best intentions to learn how to make their lives better. Since you are blessed with the job of delivering the sermon you must do everything in your power to get your words across to the people and give them the spiritual guidance that they need. 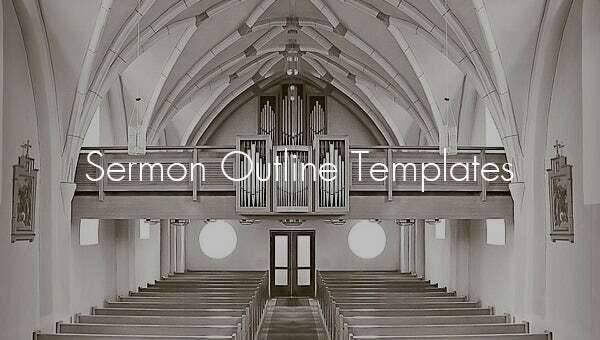 You could also browse through our collection of blank outline template exceptional weekly schedule templates to put your sermons and duties in order. The day you became a pastor was the day you became a teacher. You must have a better outline to send the right message to the congregation. 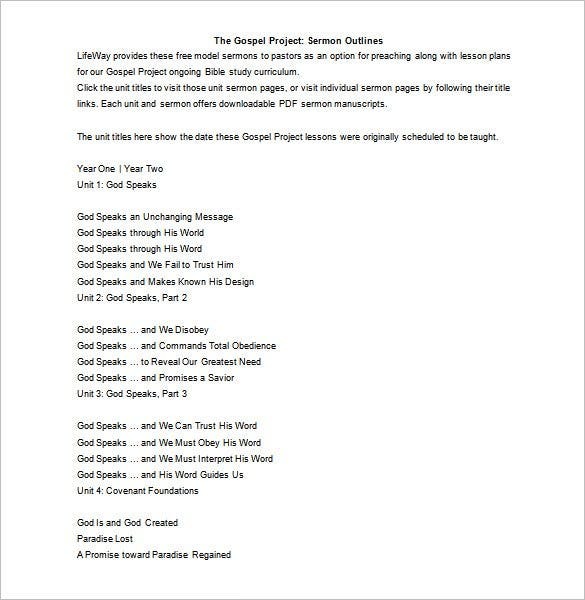 Use this template to plan your sermons. It demands no study of atomic physics to make a perfect template. Furthermore it may take up to nothing to create an apt one. Just download this free template to get started. Do not let people in your church go home with the wrong message. 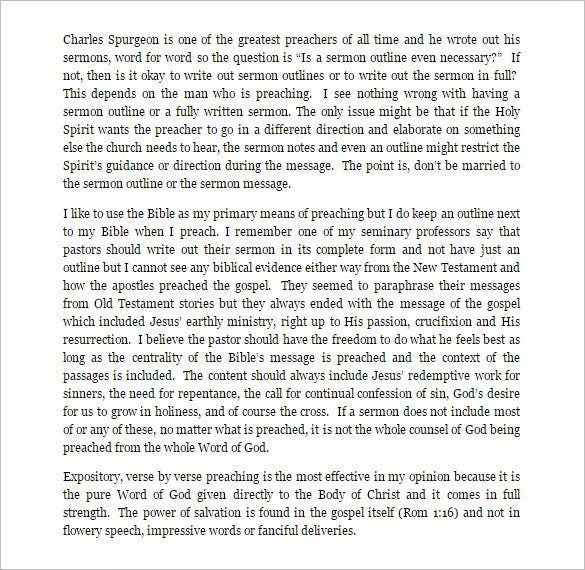 Create a good outline for the preaching by using this free outline template. 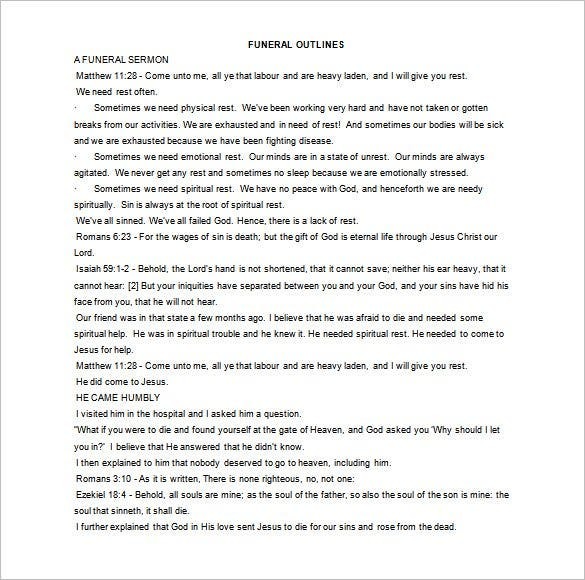 Use the outline to teach the church. 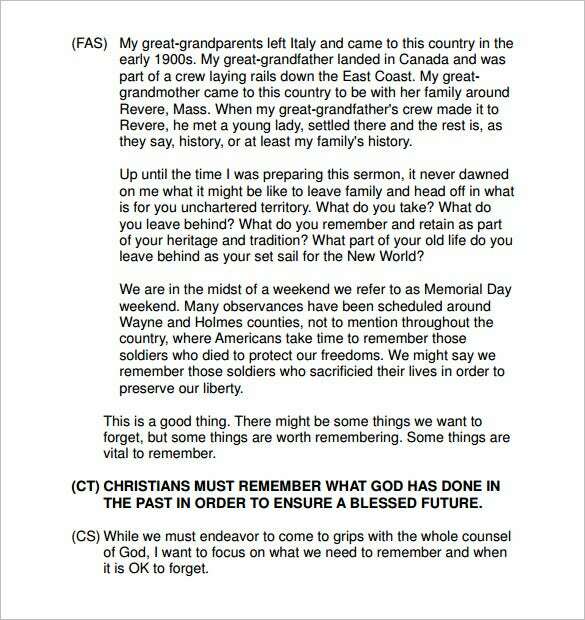 Pastors can now use sermon outline templates to create the best outline for their Sunday sermons. The template is free and you can download it as many times as you want. As it is, people living in the materialistic confines of the twenty-first century need a great deal of persuasion in order to convince them of any sort of compromise or moderation. 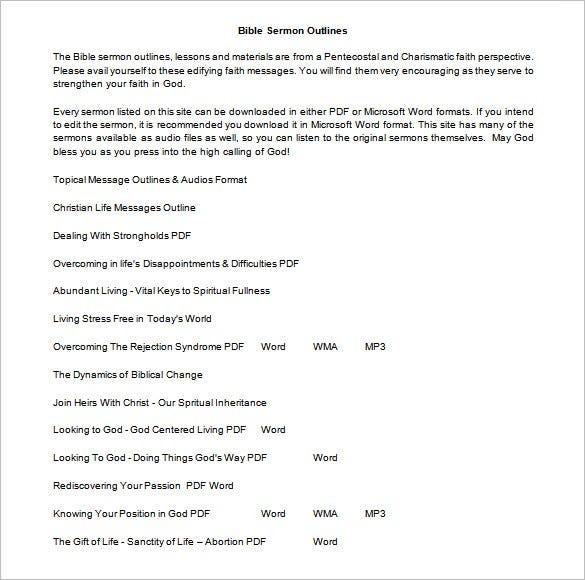 Therefore your sermon needs to be powerful and convincing which is why you should consider downloading one of our free sermon outline templates. These outline template help you frame the general content of your speech and help you connect them to the passages you want to site. 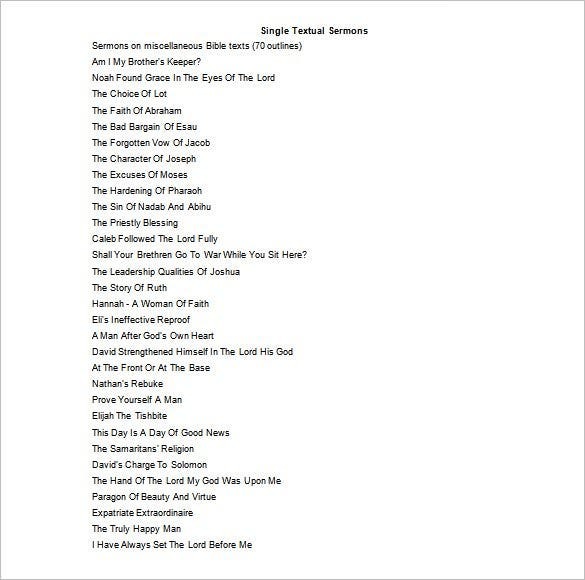 The samples cover a wide range of situations irrespective of whether the sermon is long or short.